What are Islamic credit cards? Islamic credit cards are Shariah compliant financial products which are a part of Islamic banking. An Islamic credit card offers perks and features similar to a conventional credit card such as cashback, rewards, airmiles and more. Aside from that, there are extra benefits to Islamic credit cards that are not available with a conventional credit card. This will be further discussed below. Islamic credit cards need to be Shariah compliant and free from any activities that are deemed as unlawful in Islam. The main differences between Islamic credit cards and conventional credit cards are the prohibition of gharar and riba. Gharar is overcharging, while riba is interest. There are no compound charges as overcharging is also prohibited under Shariah law. An Islamic credit card would also have a filtering system to ensure that the credit card will only be utilised for halal transactions. It simply means that an Islamic credit card cannot be used to purchase alcohol, gambling or for other activities and purchases that are not permissible in Islam. In the event that the card is used for such purposes, the card issuer will not allow the transaction to go through. Islamic banking ensures all financial products are Shariah compliant. Shariah, is the Islamic religious law as defined in the Quran, hadith and sunnah. Islamic banking has the same purpose as conventional banking except that it operates in accordance with the rules of the Shariah, known as fiqh Al-Mua`malat (Islamic rules on transactions). The compliance with Shariah principles is an integral feature in Islamic banking and finance. In Malaysia, Islamic banking is governed by both Islamic law and financial industry rules and regulations. This means it is very tightly regulated, like its conventional counterpart. Islamic banks must comply with a variety of principles besides not charging interest, such as ensuring the products offered to clients are halal and Shariah compliant. In order to do so, there are Shariah boards which consist of Islamic scholars who are qualified to give opinions on Islamic financial products. Why use an Islamic credit card? For Muslims, it is mandatory to use financial services that are Shariah compliant. 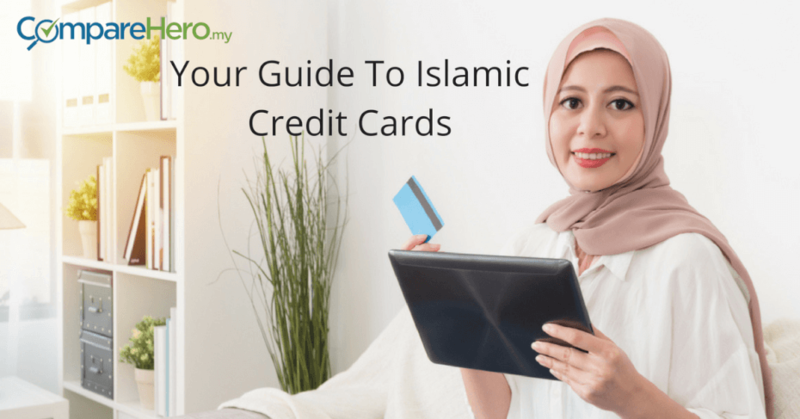 While for non-Muslims, they should use an Islamic credit card to reap the benefits such as the non-compounding charges which will be further explained below. How does an Islamic credit card work? An Islamic credit card works the same way a conventional credit card works, which means you can swipe or wave to make a purchase and you can also use it for online purchases. However, an Islamic credit card has features that make it different such as no interest charge, takaful coverage and more. Any interest or riba is strictly prohibited under the Shariah law, therefore the service provided by Islamic credit cards cannot involve any interest. 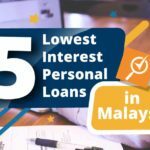 It should also be noted that the prohibition of interest works both ways, which means a Muslim cannot pay for interest and is also not allowed to receive interest. Therefore, Islamic banks provide Islamic credit cards by charging for their service, which is known as a ‘profit charge’, and will only be charged if there is an outstanding amount that is not paid within the grace period. The profit charge is usually calculated on a daily basis but usually averages around 1.1% to 1.5% per month, which is around 13.5% to 18% per annum . 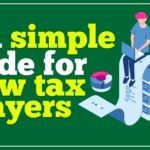 The profit charge is based on a tiered system, which means to enjoy a lower rate for the outstanding balance, you’ll have to make sure you are consistent with your repayments. This is because missing a payment for your outstanding balance will cause banks to increase your profit rate. Cardholders will usually be required to make a minimum monthly repayment of 5% on their credit card bills (or a minimum of RM50, depending on the bank) by the due date of each month. Failure to do so will make the profit rate charged on your outstanding balance to rise to a higher tier, and you will also be charged a late payment penalty of 1% (or a minimum of RM10 – depending on the bank). Aside from that, there are no compound charges for Islamic credit cards as it is also not allowed. Interest charges for conventional credit cards are compounded, meaning your credit card debt keeps growing if you don’t pay it off in full. When it comes to Islamic credit cards, the profit charge on your credit card balance is non-compounding. Credit cards often comes with perks and privileges, and the same goes for an Islamic credit card. An Islamic credit card usually offers takaful coverage, and some also offer benevolence expenses. It means that in the event of the cardholder’s passing, Islamic banks that offer this feature will pay the premium to cover some, or the entire outstanding balance, of the deceased cardholder. Muslims will also have the added convenience of being able to pay their Zakat with an Islamic credit card. This word translates to compensation, and Islamic credit cards use the concept of Ta’widh for its transactions. Essentially, it is an agreement between the financier and the recipient. The bank acting as the financier is obliged to provide funding and the recipient is obliged to make payments in return for the financing he receives. The concept of Tawarruq is based on the basis where a buyer purchases a commodity from a seller on a deferred payment basis. The buyer then sells the same commodity to a third party where payment is made on the spot. What this really means is that the buyer is borrowing cash needed from the bank to make the initial purchase. This concept provides a way of taking a loan while making sure the loan adheres to Shariah principles. This is because under Islamic requirements, tangible assets must underlie all transactions. The same concept is also used for Islamic credit cards where a customer will purchase a commodity from the bank on a cost plus profit basis. So the Tawarruq concept is the transfer of asset ownership from a seller to a purchaser. A credit card under the Tawarruq concept then means the bank gives the customer aid to make a purchase, and in return the customer will pay the bank for the aid which was provided through the means of a credit card. 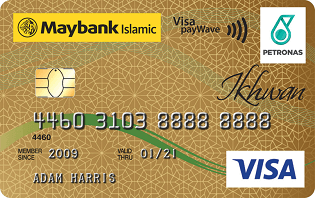 Examples of Islamic credit card that uses this concept in Malaysia is Bank Islam’s Platinum Visa Credit Card – i and Gold & Classic Credit Card – i.
Ujrah is a generic term in Arabic that translates to fee. However, it is usually used specifically in relation to a fee charged in exchange for a service. The Shariah concept of Ujrah used by Islamic banks refers to payment of a service fee in exchange for the services rendered to customers, and most Islamic credit cards in Malaysia are based on this concept. The Islamic credit cardholder is charged a fee for the services, benefits and privileges provided by an Islamic bank instead of being charged interest. Cash advances are also available under the Ujrah concept, which sees some Islamic banks offering it along with the service of an Islamic credit card. Islamic credit cards which uses this concept are the Maybank Ikhwan and CIMB Islamic MasterCard. What are the benefits of an Islamic credit card? Whilst being Shariah compliant, Islamic credit cards also provide the same features as conventional credit cards. This means that you can enjoy the same perks of conventional credit cards on top of the extra benefits of an Islamic credit card. Most Islamic credit cards also offer takaful coverage for the cardholder. Takaful is a type of Islamic insurance, where members contribute money towards a pooling system that will be used in the event of losses or damage. Takaful is a Shariah compliant insurance option grounded in Islamic Muamalat (Islamic transactions) products. The takaful industry in Malaysia is also regulated through the Islamic Financial Services 2013 act. Takaful coverage is available for anyone, and one does not have to be Muslim to take on takaful coverage. Some Islamic banks in Malaysia will make takaful coverage compulsory in order to apply for an Islamic credit card, while it is an option for some Islamic banks. This means that cardholders will be protected in the event of an unfortunate circumstance such as total permanent disability or death. Family members of the cardholder will not be burdened by the outstanding card balance. 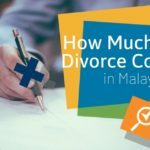 However, depending on the bank, the total coverage for outstanding balance that will be settled by the takaful coverage will vary. Zakat is the third pillar of Islam and is wajib (compulsory) on Muslim’s who meet all the conditions. Technically Zakat means a fixed proportion collected from a specific type of mal (wealth) when they reach the haul (specific term) which must be distributed to specific categories of people. Zakat is an assigned amount that is worth 2.5% of your wealth which is to be paid to the community. The community is then to use the Zakat contributions to support the less privileged among them. Islamic credit cards offer the convenience and hassle-free way of making zakat payment without having to go to a zakat centre. See also: What Is Zakat? How do you apply for an Islamic credit card? 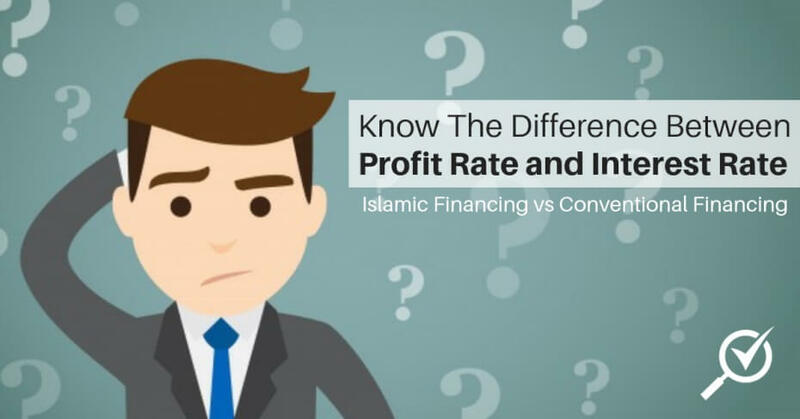 The first step is to make sure you compare the profit charge among Islamic banks to help you find an Islamic credit card with the lowest profit charge rate. What are the eligibility requirements for Islamic credit cards? The process and requirement to apply for Islamic credit card is the same as applying for a conventional credit card. Applicants must be Malaysian citizens, aged 21 years old and above. Some banks will accept application for an Islamic credit card from expats that meets the minimum required income and with a valid working visa that is longer than a year. Enjoy Maybank TreatsPoints, where every RM1 spent locally and overseas earns you 1 TreatsPoints. This is an ideal credit card for those who are looking for a basic credit card. Not only does this card give back to you, it also gives back to charity as well. Enjoy Maybank TreatsPoints, where every RM1 spent locally and overseas earns you 1 TreatsPoints. You can redeem the accumulated points for products and services from the redemption catalogue or at the exclusive Maybank TreatsFair. 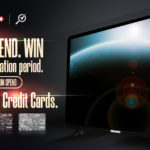 But TreatsPoints have an expiration date of 3 years, so make sure you use up your points before it expires. 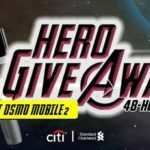 Take note that cashback is capped at RM50 per month. 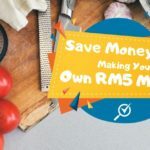 Aside from that, you will also need to spend at least RM1,000 a month to receive the maximum monthly cashback of RM50. 1x TreatsPoints for spend at petrol, government, utilities, education and insurance, 2x TreatsPoints for other spend. Get a chance to win an Umrah trip (for Muslim cardholders) or a holiday package for 2 (for non-Muslim cardholders). 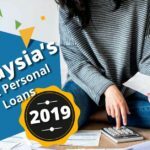 Minimum age of 21 years with a minimum income of RM2,500 per month (RM30,000 per annum) for Malaysians or RM5,000 per month (RM60,000 per annum) for expatriates. No annual fees for both principal and supplementary cardholder. This is an ideal credit card for cashback lovers as it complements your petrol spending and helps you save more on your daily spending. You can get up to 7% cashback on petrol spend at Petronas and 0.20% cashback from your other spending. You’ll also enjoy a 20-days penalty-free period, which is an incentive for you to be diligent and prompt with your payment. There is no cashback cap on other retail transactions as the cash rebate for that transaction is unlimited! Minimum age of 21 years with minimum income of RM2,000 per month (RM24,000 per annum). Want to have access to platinum privileges? This card will open doors to a world of luxury for you. Enjoy countless perks and privileges from HSBC and Visa with this card. Do take note that if there are any outstanding balance, you will be charged a minimum of RM10 or 1% of the outstanding balance, whichever is higher, to a maximum of RM100. 20-day grace period for all shopping transactions, provided that all outstanding balance stated in the monthly statement from the previous month is fully paid. You also get cashback for purchases made on the supplementary credit card! Minimum age of 21 years with minimum income of RM3,000 per month (RM36,000 per annum). 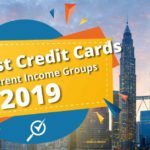 Annual fees: RM240 (+ 6% GST) for primary card. You’ll get premium privileges with this card but of course this comes with a price. 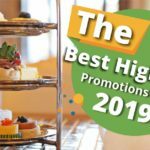 However with an annual fee of RM240 you may be better off with other Islamic credit card options if premium perks and privileges is not what you’re after. Can non-Muslims apply for an Islamic credit card? What to consider when applying for an Islamic credit card? Take note that Islamic credit cards have a filtering system, which means an Islamic credit card cannot be used to pay for unlawful purchases i.e. ; alcohol, gambling etc. In most cases, this would mean the card cannot be used at bars and restaurants that serve alcohol. Before applying for an Islamic credit card, check if takaful coverage is compulsory or is an option with the card. If it is compulsory, check the extra payment that is required for the compulsory takaful coverage before deciding on the card.